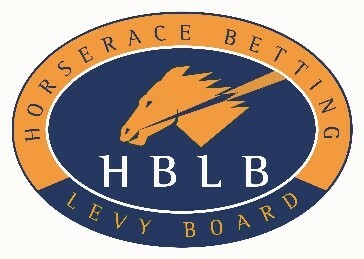 The HBLB supports scientifically robust research projects to benefit the racing, breeding and rearing of the Thoroughbred. Innovative and novel research approaches are encouraged and all applications will be subject to peer review and full evaluation by the Board’s VAC. The Racing Foundation is interested in equine science research that has demonstrable practical benefits to Thoroughbred horseracing. Applicants submitting proposals through the Equine Grants System will be asked to indicate whether they wish their projects to be considered by the HBLB, the Foundation or both. All applications will be subject to the normal HBLB review process. This fund supports research focusing on specific issues of direct and immediate practical importance to the Thoroughbred. The grants are open to individuals employed by veterinary schools, universities and research institutes, veterinary practitioners or elsewhere in the Thoroughbred racing and breeding industry. HBLB is particularly interested in receiving applications from clinicians, farriers and others involved directly in the care of horses in training yards. Projects are limited to one year with costs limited to £10,000. The application pack and form will appear in the ‘Advancing Veterinary Science and Education’ section on the HBLB website. This will be available from 23 April 2018. Veterinary Research Training Scholarships offer 4-year funding to pursue a PhD programme in any scientific or veterinary field relevant to equines and particularly the racing, breeding or rearing of Thoroughbreds. Research Training Scholarships are open to veterinary graduates or non-veterinary science graduates. The requirements regarding the subject of the PhD will be the same for graduates in either discipline. Senior Equine Clinical Scholarships allow veterinary graduates with at least 2 years’ practical experience to train for a higher qualification, such as a European Diploma, over 4 years. The qualification must be in an equine field with particular relevance to the Thoroughbred. Applications for both types of award must be made by the prospective supervisor within an eligible institution, such as a university veterinary school, other university department or research institute. Awards include a tax-free stipend to cover living costs and an expense allowance for research costs and other purposes directly relevant to the scholarship. For full information and to apply, please download an application pack and form from the ‘Advancing Veterinary Science and Education’ section on www.hblb.org.uk. This will be available from 23 April 2018. The HBLB is again inviting applications from recent veterinary PhD graduates for a post-doctoral fellowship. Introduced in 2016, the Equine Post Doctoral Fellowships are aimed at exceptional veterinary PhDs, with the skills and aptitude to develop a leading academic or clinical academic career in equine veterinary sciences. The area of research must be focused on Thoroughbred racing, breeding or rearing. The fellowship will be tenable for three years. For further information please contact Annie Dodd, Grants Manager at the Levy Board, on: 020 7333 0043 or equine.grants@hblb.org.uk.